Facebook is the most popular social media sites for many years and with increasing members’ database, it will be on the top in the coming years also. This great social platform not only provide us the opportunity to connect with our friends, family but also it provides a great facility to Internet marketer, business owners, bloggers, webmasters and so on to grow their business. 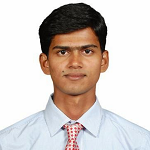 Here business is in terms of increasing traffic to the site and making the promotion of the brand/product etc. You can even have great sell-through facebook also. With around couple of billions active users, facebook is getting demanding day by day and the most favorable thing with facebook is that it take care of its users. Time by time facebook brings lots of new features which attract the users to get more active here. And when at a single place you get so many active users, why don’t you use this great platform to market your business or blogs. Let me tell you currently Facebook is the second most traffic generator for TricksRoad. Perhaps the biggest assets going with facebook is that you can you can post updates, links, and directly insert videos from YouTube onto your page. This makes getting your message out as simple as possible. As a result, when you build your network of ‘friends,’ they see your updates in real time and those who are interested can visit your link. By this way, you’ll be able to build a great network as well as traffic. Below I’m going to discuss few very important tips to drive traffic to your blog/any other online business and doing a great promotion. I’m sure you must be knowing some of these tips, but if you’re missing any, please incorporate those, especially if you’re a newbie. Because being a newbie, you get less organic traffic and so social media can be very helpful in that case. Here are some of the best ways to increase traffic from Facebook to your websites and blogs. Use these methods wisely and you will have some good amount of visitors from the social media giant Facebook. This is the most important step in creating a brand. Just think you’re promoting a product for which you haven’t given any information, what your audience will think? The same applies here. First, create a facebook fan page and complete its profile like profile pic, cover pic, about, contact and all the required sections. This will ask the users to know about your business very well and closely. Similarly complete your own profile too and add somewhere about your business like working at so and so or founder of so and so. This will help your facebook friends to know about your business also who are not following your fan page and who know after checking fan page they might follow also. Use facebook search to find friends on facebook. You can send a friendship request to several people. But remember try to add only those people who can be your target audience. Suppose you’re running a blog on ‘wordpress themes’, so add the bloggers and webmasters who can be your potential user. Once they’ll accept your request, invite them to like your fan page. Not all will like your page but if only 10% will do, it’s sufficient for initial days. Once the user will start visiting your site and if they will find your site interesting they will follow you on facebook. Yes, if you want a good fan following, you’ve to follow others. Initially, nobody knows you and so start liking other’s fan page and in return, they’ll also like your page. If they’re not doing this (chances are there), you can approach once formally also but don’t force to do so. Once you’ve some good fan following you will get popularity very easily and traffic will flow to your site. This is a very good practice and a smart way to increase engagement of your followers. Take some time to link your other profiles on your facebook account as well as on your facebook page. Especially add RSS link, twitter, and SlideShare account. This’ll help your followers/friends to get updated with your latest activities on other social sites. This is the best thing I ever saw on facebook. Groups are the great point to drive massive traffic to your blog and also to do promotion. But use these groups legally, don’t spam those else you’ll get banned. Join the group which falls in your niche and share your latest posts there. Also, manage some time in a week to share your old posts also. This’ll help you to take your business to the larger community. Currently, I’m added to 25 facebook groups including my own group Advertising Adda. You can join this group to share your posts and promote your business. 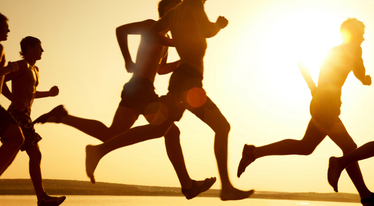 Being active doesn’t mean you’re online all the time. You should engage yourself with the others. You should like and comment on your friend’s status, posts, and shares. It’s not compulsory to do for all, but for few, you can do. And in this way indirectly you’ll build a good relationship with them. In return when you’ll share something, they too will do the same and you’ll see the result in terms of traffic, promotion and other benefits like sells also. 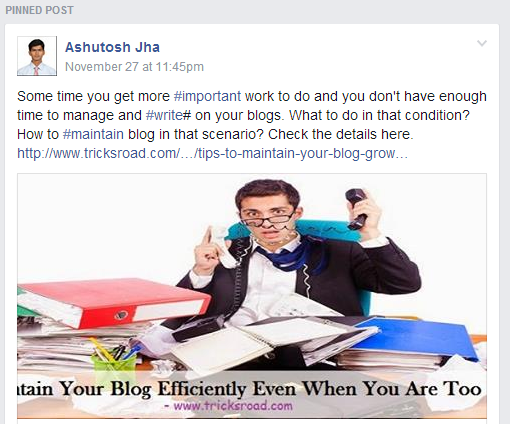 Add a facebook feed section on your blog sidebar. If any readers are reading your article and found it interesting and want to like you for future updates, they’ll like you directly from your site. I know most of you are using this. On your facebook fan page, there is an option connect to twitter, connect your facebook account with the twitter account. Now once you’ll share something on your facebook fan page, it’ll get automatically shared on your twitter account too. And this way you’ll save time also. These are the special features given by facebook. You can pin a post to the top of the page. I’m using this facility in my group where you can show one of your post on the top of the group. Use your one of the best post or the post you think should gather maximum attraction as a pinned post. Also, you can highlight as many posts as you want. This gives visitors a special attraction and they tend to view that post. You should use these features but remember don’t highlight each and every post else it looks like common itself. Also, you can use post scheduling feature to schedule a post. You can schedule a post when your maximum connections are online. This step is very important. Suppose you’ve shared a post on your facebook profile/page/group and someone has either liked/commented or shared your post, you should give a proper response to them. You should show your gratitude towards that. This will help you build a good relationship with others. If anybody has liked or shared you, say thanks for liking or sharing. If anyone has commented on your post, write a proper reply and also mention their name in the reply. Also, you should do the same to them. Believe me, that'll give you enormous traffic to your site. This is not compulsory but if you want with a little investment you can promote your post/product to the large audience. It’ll directly give you benefit. Suppose you have written a great post or have published a good e-book, you can do little investment and can promote these. Remember facebook ads are much cheaper than the other ads network and cover the great source of audiences also. Yes! Unlike LinkedIn and twitter, facebook has a social and personal edge where facebook members expect their connection to be personal, not promotional. You should not flood you facebook account with lots of posts, especially if your close friends and families are connected, who are not from the same profession. It’s a good idea to keep engaged your followers but not too much. You can use Twitter and LinkedIn for this purpose which leans more towards the business edge. These were the top 11 tips using which you can increase traffic to your site. But these are not the only way. I’m sure you must be using some more tips to get traffic from facebook, please do share those tips in a comment. If you’re not using these tips, you should use this great platform and get the maximum of it. If you liked the post, please consider it to share on your facebook profile. Thanks and keep visiting!! 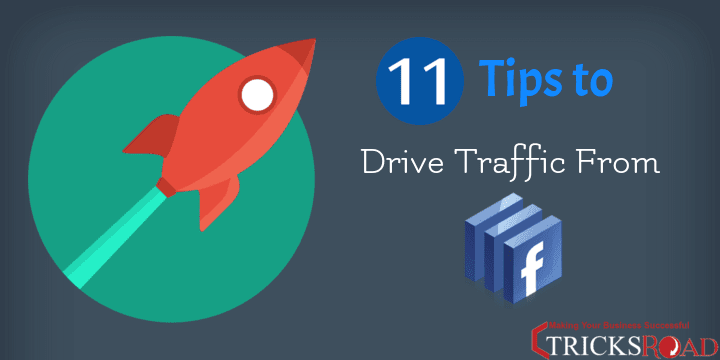 17 comments to ''Top 11 Effective Tips To Increase Traffic from Facebook"
hey..bro this is praveen..it was awsome post's really i wuld like this article's obiously..thanq bro..
Good to see you here and welcome to TricksRoad. Thanks for the nice words here and i am very glad that you liked this article. Facebook definitely is a blogger friendly platform and if used effectively you can drive huge amounts of traffic to your blog. With any social media platform, I believe the key is to not only drive traffic to your blog but you should also focus on getting those potential customers on your list. The worst thing we can do is use facebook as if it is our own personal platform because if and when facebook changes their rules of promotion, we then have to change our marketing strategy. If in fact we use it as a means of getting people on our list, we will benefit the most from it. You have given some awesome ways to use facebook effectively. Probably the biggest way I use it is by interacting with people on my fanpage and also by participating in some of the facbook groups. This brings traffic to my blog and I then work to get them on my list. Thanks for sharing. Thanks for sharing your valuable feedback here !! And i agree with you that we should not only focus on promotion rather we need to do in such a way that it can generate sell. Also without interaction with the people we can't get anything. No matter how great our product/content is, we have to build relationship with our friends and followers. Facebook has achieved so much that it a platform for blogs and businesses. As users keep increasing on this Social platform, it is no wonder that there is a demand for facebook. Your tips to increase traffic are great and if followed will produce the desired outcome. However like Nate has mentioned, Facebook should be used a platform to promote your blog and even create a mailing list. In recent times most bloggers have made the mistake of creating their business in Facebook rather driving traffic to their websites. Thanks for such a great guide. Thanks for your valuable feedback. Facebook is a great social platform to grow business specially the small one. And I agree with you that facebook or any other social media should be mainly used to drive traffic and doesn't depend for the complete business. One should drive the traffic and then convert that traffic to the business because nobody know when these sites will change their policy. It's a nice article that you've shared here, but it can only give positive result when we take full advantahe of. I drive tons of traffic from facebook :) with my blog's fanpage (6k+ likes), tech page (2k+ likes), Larry Frank p's page (5k+ likes) then I have another page where I share my post, but it's not in my niche though, this page have (55k+ likes), and I'm really enjoying it. I've always used the group method to share my blog posts, and that's another method we should try out. i don't run facbook ads for my main blog though, but on a niche blog, where I need to target my audience, and it really has been going well. This is a whole lot of list for evert person who want's the most out of facebook, but let me add to this post before going. When sharing a post on facebook, it's adviceable you remove thumbnails, as thumbnails don't allow your post reach a lot of audience. Thanks for sharing, and do have wonderful day ahead. Thanks for sharing the detailed feedback and it was wonderful reading your comment. I can say in social media specially facebook you are the giant. I've seen only few peoples who are having these many facebook fans. I'm also on you couple of pages :) Great achievement !! Thanks for the suggestion that we should remove thumbnail. Truly speaking I was not aware of this but I'll definitely implement this going forward and also will suggest with my readers. Yes indeed, Facebook works well for those who are able to follow all the things you mentioned. However, many are also going away from it nowadays and choosing Google Plus and there could be many reasons for that, like their new rules regarding Fan pages and the marketing aspect related to Ads etc. Nevertheless, Facebook groups work well, provided you also participate actively in them, and choose them based on your specific niche. For example, I'm part of over 260+ groups because of the various niches of this blog, and there as a time I used to share my posts on the related ones, but it's just not possible anymore with ABC! Besides, nothing works better than being yourself, being friendly, and helping others by sharing their posts and otherwise too, when you are on Facebook, which should of course be for a limited time period! Honored to see you again here and thanks for this wonderful comment with some best tips too. This comes after experience. I agree with you mam that its really hard to convert facebook visitors into your regular readers but if we get involve with them, they can turn into our regular visitor. You said it right that nothing works better than being yourself, being friendly, and helping others by sharing, this help us to build good relation with the fellow bloggers. Thanks for wonderful tips and suggestions. Very nice and interesting article, I found some kind of uniqueness in your blog posts, I must say you are doing a great job. keep posting articles like this and thank you very much for sharing such a nice article with us...! Thanks Mahadev for stopping by and I'm very glad to know that you found it interesting and unique. Thank you Ernest. Keep Visiting !! Why didn't you include the use of Hootsuit? Thanks for stopping by. Here I haven't mentioned because simply i have mentioned here the method that typically come from Facebook not the other tool. Another informative post from you. I was not using facebook fan page effectively. I will try to follow your tips and make the most of it. Thank you for these wonderful tips.